This attractive Professional Offices Directory sign for 6 offices is made of HDU, with a sandblasted background (sandstone texture) at the top and raised text and border. The nameplates are engraved smooth-faced HDU., and are readily removeable/replaceable. Please click on Home to see our home page. You can click on one of the numbered gray boxes on the lower left margin of this page to see other Photo Galleries, or use the navigation dark gray tabs at the top, or the gray boxes in the upper left margin to see other information. You can search for a specific sign type on this website by typing in key words in the Google Search bar at the top of this page. 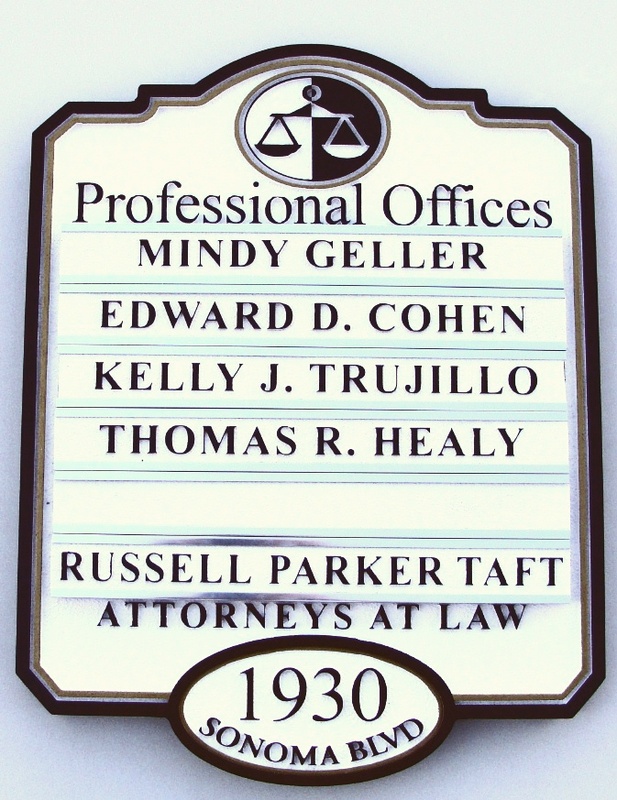 Return to the Gallery 10 (Attorney and Court signs) page by clicking on "Return to List" below right.